Julia Fierro runs it and also obtains suggestions from instructors and other Sackett Street staff on event themes and readers. The series includes fiction and nonfiction primarily in addition to having discussions tied into events that are helpful to students and faculty where craft and the publishing industry are discussed. A reading features Sackett Street faculty and their chosen students or faculty and other published writers. A discussion tends to be centered around a specific topic which can be with writers such as the most recent “Fiction Luminaries” discussion about the work and experience of debuts or the upcoming “Realities of Publishing” talk dissecting specifics of the industry. These discussions/panels also have a Q&A afterwards. All events are held at BookCourt Bookstore. Monthly with time off taken in summer months (July/August) and holiday season (December/January). Since a few years after the inception of the Sackett Street Writers Workshop and the long-term partnership with BookCourt. Estimate about 6 years. Not for the readings. But do take recommendations for published writers to see their work and consider them for an upcoming reading/discussion. The core goal has been and continues to be to highlight the Sackett Street family in terms of what students have written with support from peers and instructors, highlight the instructor-student relationship, as well as advertise the strong work by the instructors working with Sackett Street. 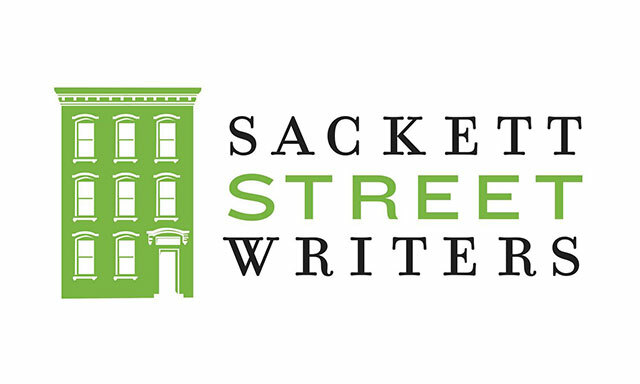 In addition Sackett Street continually wants to provide a space for writers to see what they can produce, encourage one another, and learn from others’ experiences. Sackett Street is pretty established in the Brooklyn literary community thanks to Julia’s dedication to helping writers. What makes Sackett Street events stand out is always to emphasize the connectivity in the community and great warmth and support everyone has from those that work within Sackett Street to those who have taken classes. The series always aims to celebrate those within this community in NYC and provide as much opportunities for networking and information as possible to be exposed to local artists and see themselves as one also. The next scheduled Sackett Street event is scheduled for Sunday, September 11, 2016 at BooKCourt at 7 p.m. and features conversation between Flynn Berry, Anna Solomon, Nicole Dennis-Benn, Taylor Larsen, and Kim Brooks.